Disable SmartScreen in Windows 10 Creators Updatete. If enabled, the Windows SmartScreen filter sends information about every application you download and run to Microsoft’s servers, where that information will be analyzed and compared with their malicious apps database. 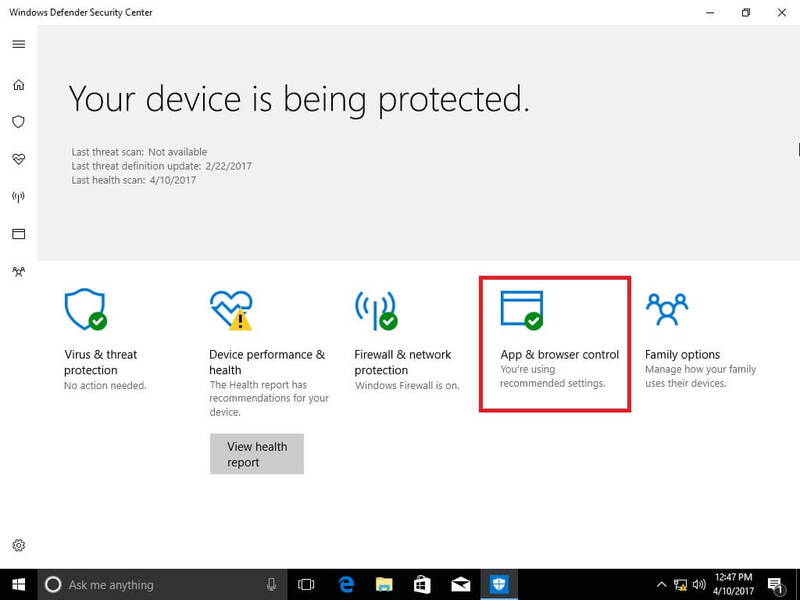 If Windows gets a negative feedback about the app from the server, it will prevent you from running the app. Over time, the reputation of apps builds up in their database. In Windows 10 Creators Update, SmartScreen is enabled for classic Desktop apps, for Edge and for apps from the Store. To disable SmartScreen in Windows 10 Creators Update, do the following. 1. 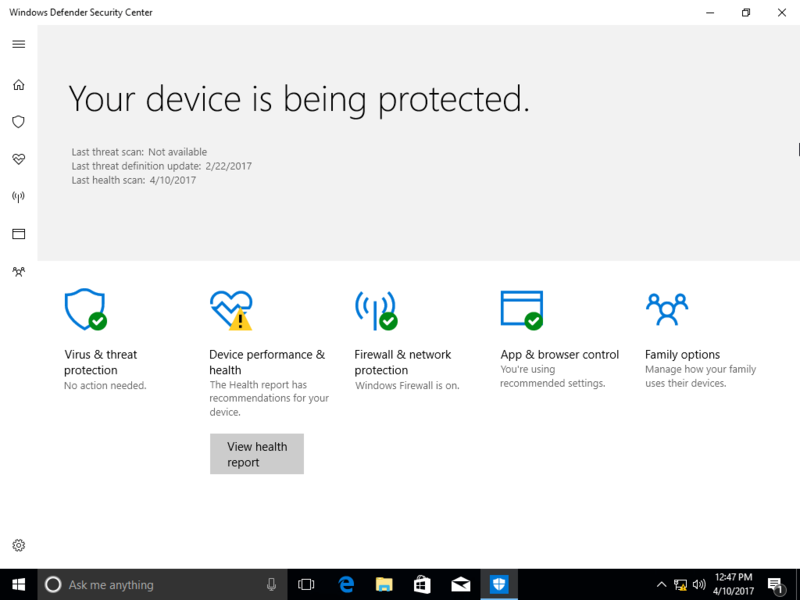 Open Windows Defender Security Center. It’s a new feature of Windows 10 Creators Update, which we described in detail in one of our previous articles. It has an icon in the system tray which can be used to open the app. 2. Click the icon “App & browser control”. 4. To disable SmartScreen for Desktop apps, select the Off option under Check apps and files. 5. 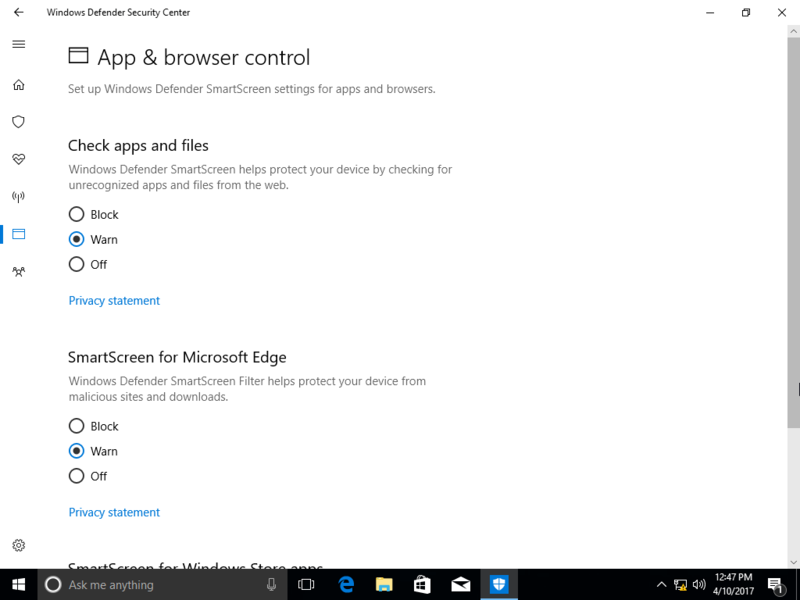 To disable SmartScreen for Microsoft Edge, select the Off option under SmartScreen for Microsoft Edge. 6. To disable SmartScreen for Windows Store apps, select the Off option under SmartScreen for Windows Store apps. 7. Once you disable all three options, the SmartScreen feature will be completely disabled in Windows 10 Creators Update.